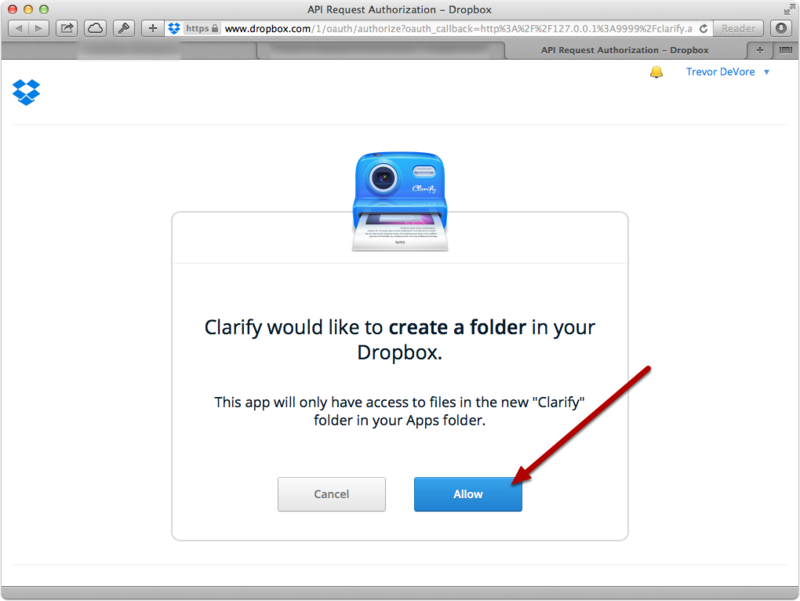 Clarify provided Dropbox support through the use of a Public App Folder permission in the Dropbox API. On September 1, 2017 Dropbox removed support for public folders. As of Clarify 2.0.7 Dropbox support has been removed. If you would like to export content to your Dropbox folder you can export using the HTML option and select a folder in the Dropbox folder on your computer. Clarify can share your documents with others via your Dropbox account. 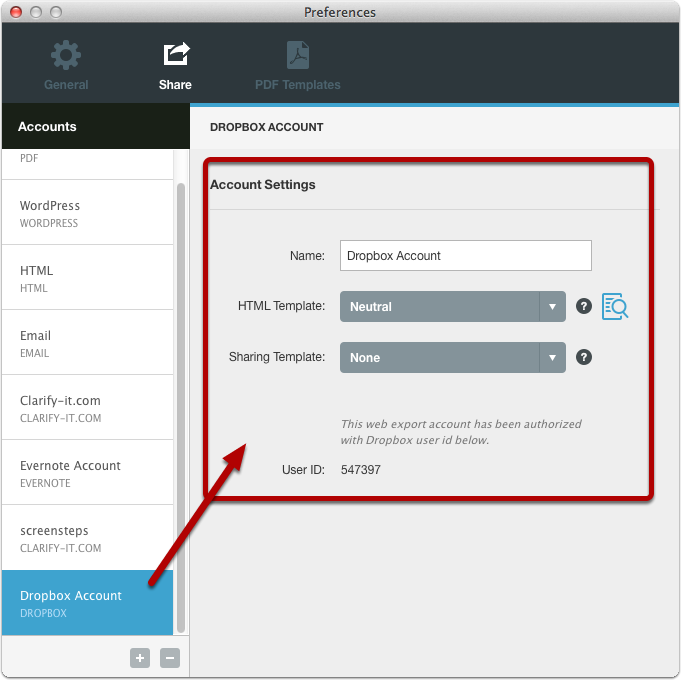 This article will show you how to configure and use a Dropbox sharing account. 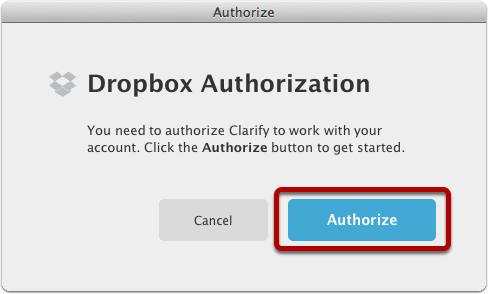 IMPORTANT: Clarify uses the Public App Folder permission when sending content to your Dropbox account using the Dropbox API. If you are a Dropbox for Business user and your team administrator has turned off public folders then Clarify will not work. Click the + button to add a new account. 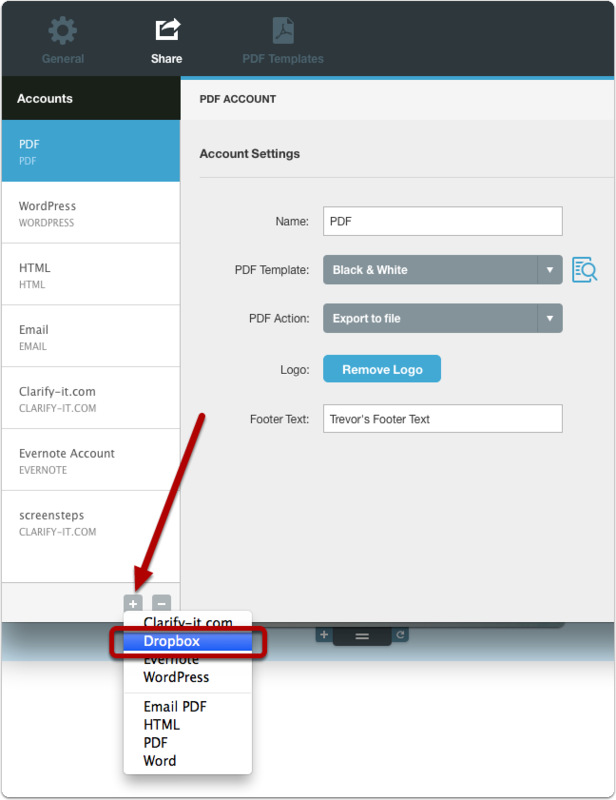 You will be prompted to visit the Dropbox.com website in order to authorize Clarify to access your Dropbox account. Click the Authorize button to begin. From the Dropbox.com website, click the Allow button. Once you see the following screen you can close the browser window. 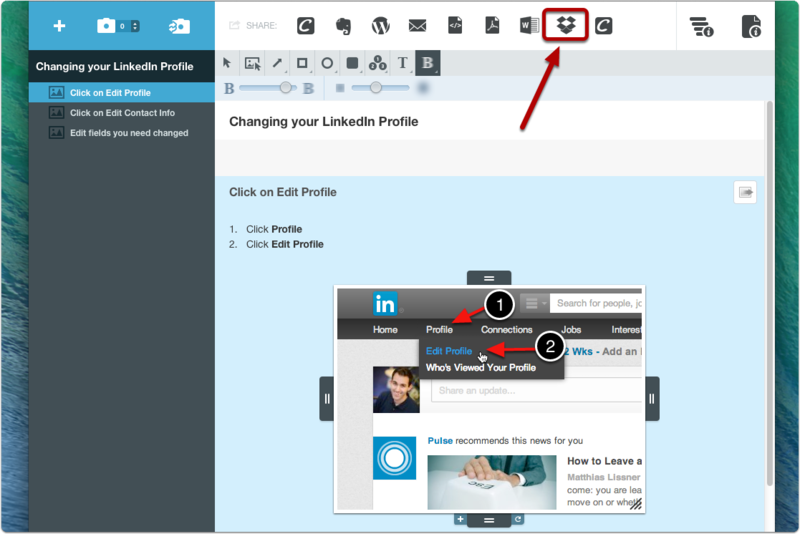 If you switch back to Clarify your will see that a new Dropbox sharing account has been configured. You will now see a Dropbox icon in the Sharing toolbar. Click on it to share a document on Dropbox. After the document has finished uploading, the URL to the HTML page on Dropbox will be on the system clipboard. 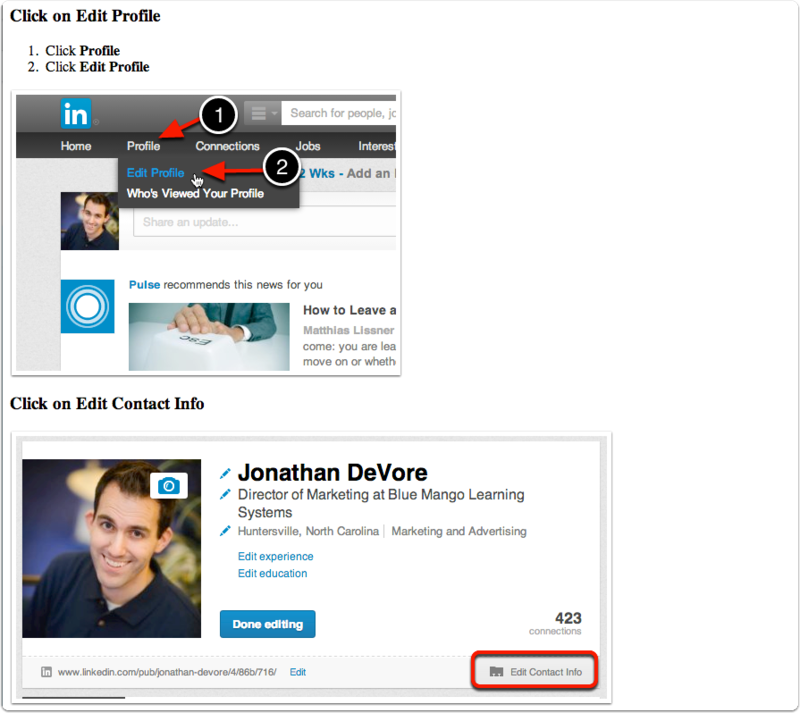 You can click the Visit button to view the page in your web browser. Here is an example of what the web page looks like on Dropbox. 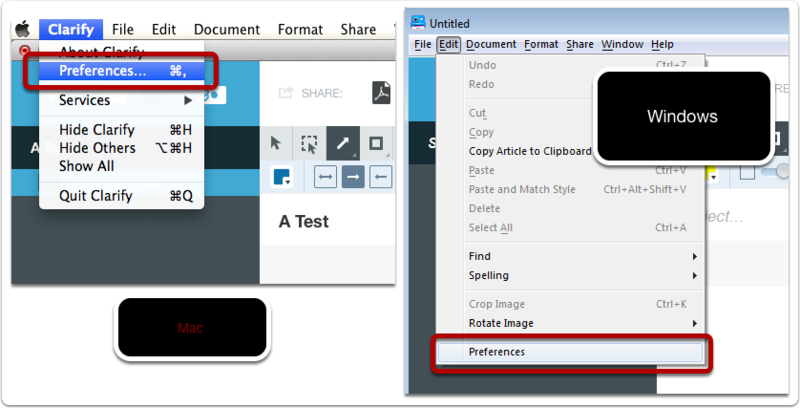 If you are interested in sharing the Dropbox document in web forums or other sites then learn how to configure a clipboard template for Dropbox. I've tried exporting a document to a dropbox folder with HTML. When I try to put this HTML into my Google Site html box, it never shows the images. Wherever an image should be it has a little broken image icon with "rule" next to it. What am I doing wrong? Is the problem in how I'm getting the HTML code from the exported file? I'm opening the html file from the finder which opens it in Safari. I then open the "page source" via Safari's develop menu and copy the html content. I then paste this into Google Site's (old version) html box. At first, I thought it might be an issue with the share settings on the Dropbox folder holding the html file and connected files. However, I checked to make sure that the Dropbox folder had it set for anyone with a link with view. @Michelle The HTML that Clarify exports uses relative urls to reference the images. That means that the HTML expects to find the images sitting in a folder alongside the file containing the HTML. When you copy the HTML into your Google Site html box the HTML can no longer find the image files because the HTML and images are not stored in the same location. So if my Clarify tutorial has 25 screenshots/images, I have manually to do something to the HTML link for every individual image? I thought that was the point of Clarify exporting as HTML was to tie everything together? I have one tutorial exported at sometime in the past that seems to show perfectly. However, it was long enough ago, that I don’t know/remember what I did differently. 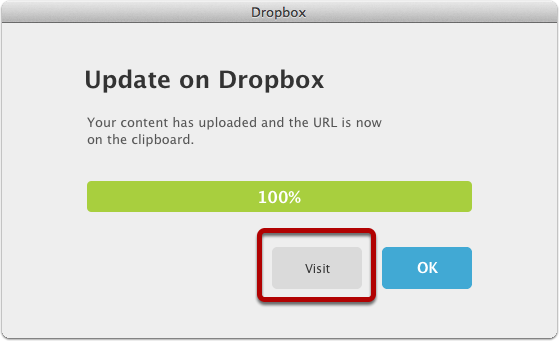 I’m not sure if it was added at a time when Clarify had Dropbox integration built-in or if I used some of the special code from the hosted file on clarify-it.com site. @Michell - If you plan on copying and pasting HTML into Google Sites then yes. The HTML that Clarify exports needs for the .html file and the images to stay together. If you are hosting the content on your own site then it will work just fine. Since clarify-it.com has been shut down and Dropbox dropped support for public folders that feature would only work if you upload to WordPress.